How can we nurture the creative expression of our understanding of the Dharma? 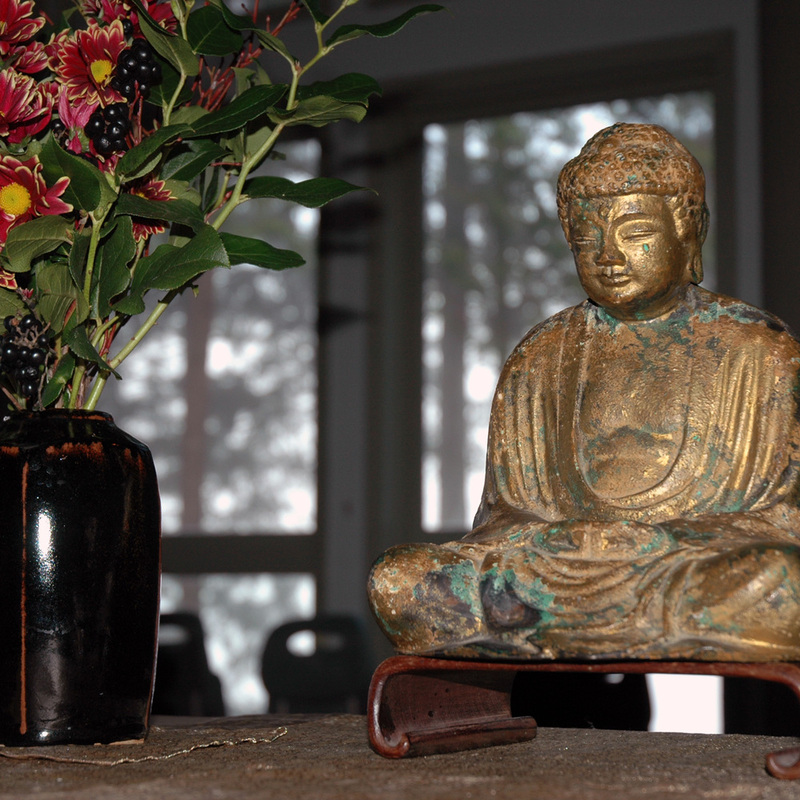 Does our zazen inspire creative expression? Can our creative expression inspire our zazen? During our practice period, I’d like to encourage all of us to take up a creative practice of our choosing—poetry, painting, music, journal writing, or anything else—through which to explore these kinds of questions and any others that may arise. Note: On October 12, after 1/2 day retreat, class starts at 1:30 pm. Registration: It is fine to attend without advance registration or preparation, but we would like to know how many people to expect, and to be able to send you readings and any supplemental materials. Please scroll to the bottom of the page for the registration form. By tradition the shuso’s class is freely offered. The Buddha sat down under the bodhi tree and started to meditate; forty-nine days later, he attained enlightenment. This simple, foundational story marks the start of Buddhism. It’s a good story. It has a protagonist, who embarks on a quest, battles his demons, and through his efforts, achieves his goal. The story establishes a linear chronology and suggests a causal link between effort and outcome, or, in the case of the Buddha, meditation and enlightenment. So, practice is enlightenment. Enlightenment is expression. Expression is practice. As a priest and a fiction writer, whose livelihood relies upon creative expression, this vital nexus of practice/realization/expression is the koan at the heart of my life, and I suspect this is true for all spiritual seekers. In our class, I’d like to examine this koan together and explore its fundamental nature. We will study Dogen’s teaching of shikantaza (“just sitting”) as a dynamic and creative activity, and consider how his view amplifies early Buddhist teachings such as the Eightfold Path. We will read selections of Dogen’s fascicles and try to approach these often mind-bending texts creatively, interactively and dynamically, by inquiring into the text, collaborating with it, and seeing how it responds. How does our Zen practice express itself in our lives? What are the demons that hinder and block us? How can we nurture the creative expression of our understanding of the Dharma? Does our zazen inspire creative expression? Can our creative expression inspire our zazen? During our practice period, I’d like to encourage all of us to take up a creative practice of our choosing—poetry, painting, music, journal writing, or anything else—through which to explore these kinds of questions and any others that may arise.